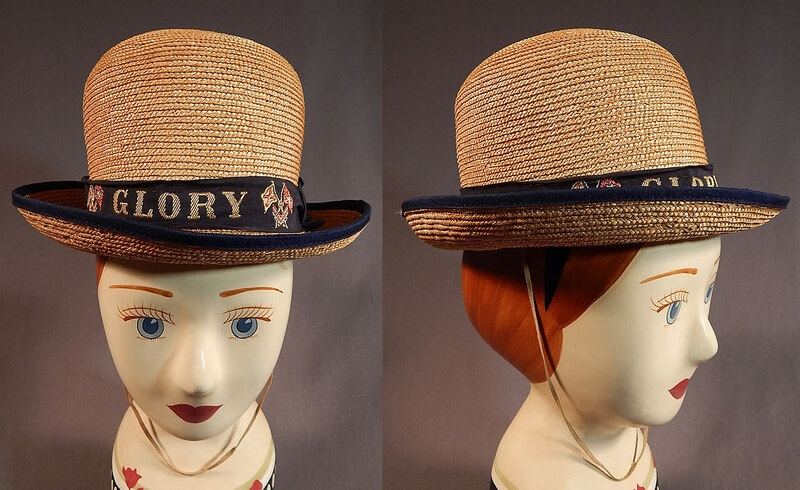 This Edwardian era vintage WWI women's natural straw Australian flag Glory derby bowler hat dates from 1914. 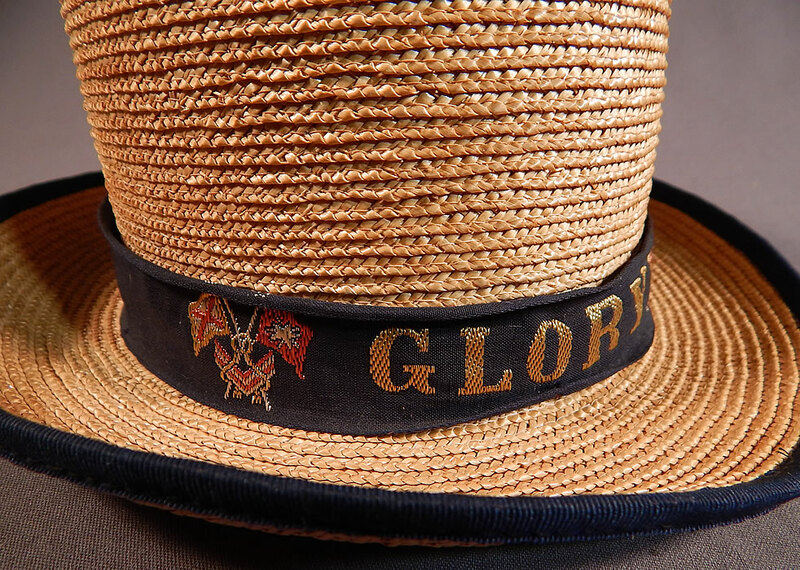 It is made of a tightly woven natural straw, with navy blue silk grosgrain damask weave "Glory" commemorative WWI flag ribbon hatband and star on the top crown. 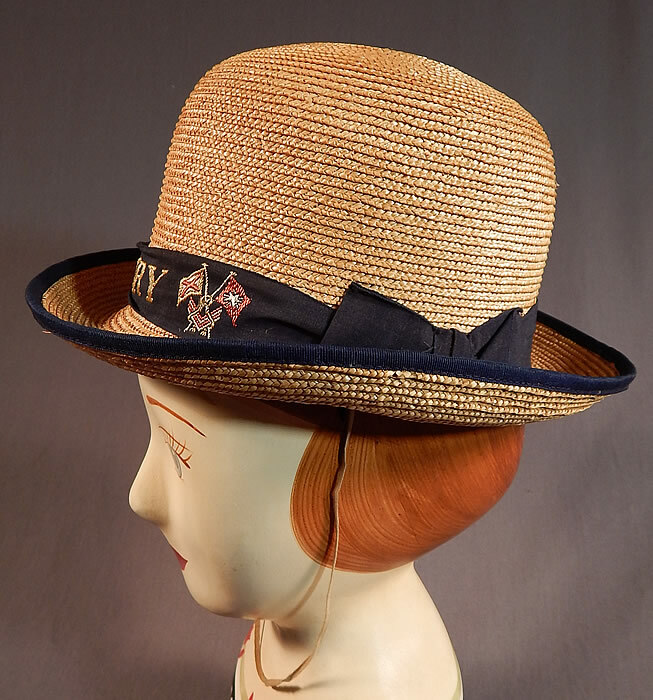 This dashing dapper derby women's bowler style hat has a high rounded crown, a small rolled brim trimmed around the edging in a navy blue silk grosgrain, a strap attached underneath for securing onto the head and is lined inside with white paper, cotton fabric. 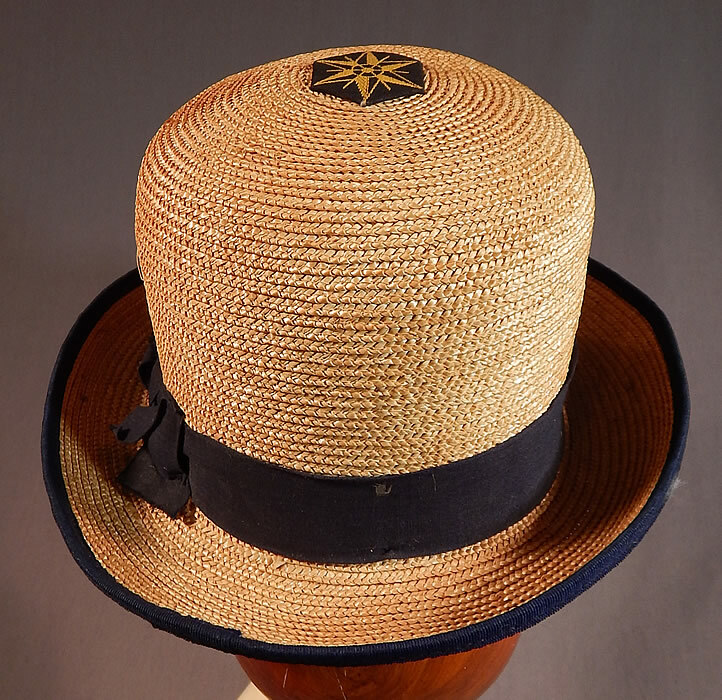 The hat measures 5 inches tall and 20 inches inside crown circumference. 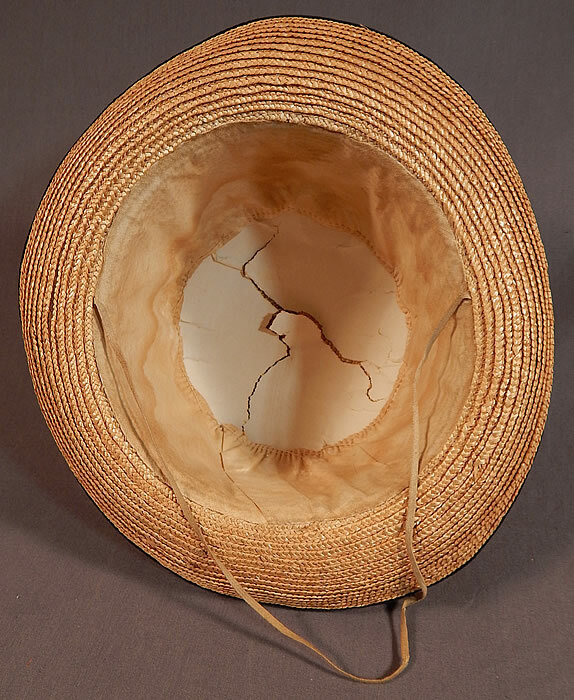 It is in good condition, with only some faint staining along the inside fabric lining and torn rips in the paper lining the crown (see close-up). 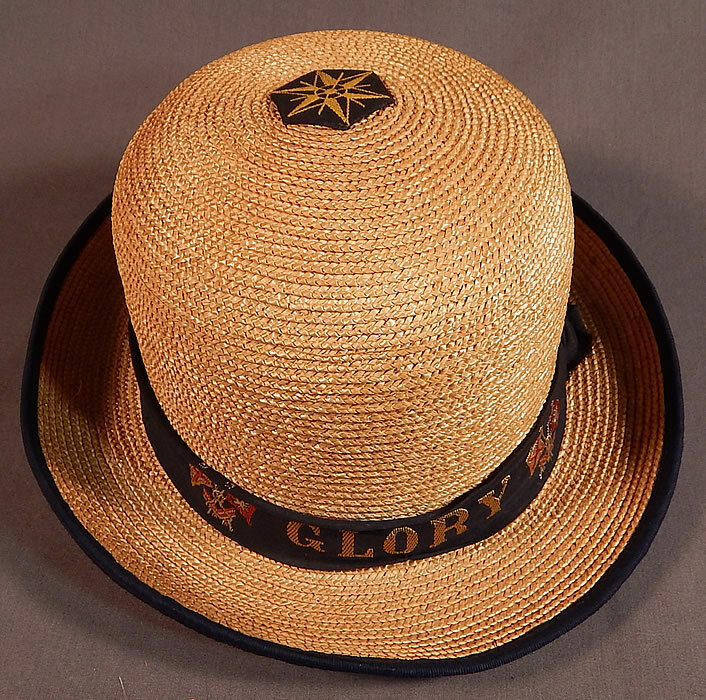 This is truly a rare and wonderful piece of Australian military historical wearable millinery art! 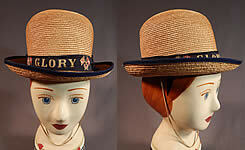 Buyer pays $12.00 shipping and insurance, USA orders.